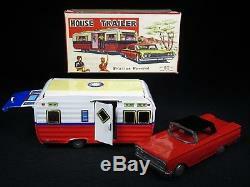 VINTAGE 1950's MIB HOUSE & TRAILER CAMPER TIN LITHO. 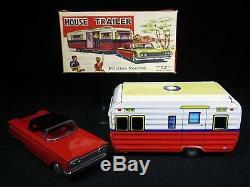 Toy Name and Manufacture: Car & House Trailer. 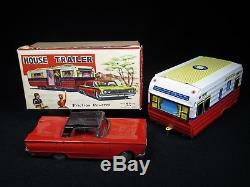 This is a vintage tin lithographed and friction powered House Trailer and Red Car with the ORIGINAL Box and made in Japan. 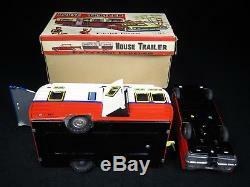 This toy has nice lithographed colors - rear door to House Camper opens and Car hides inside - 100% original with friction motor with sound. 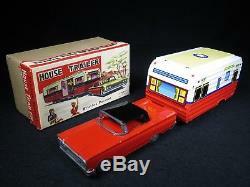 This toy is super clean and is from the 1950's. 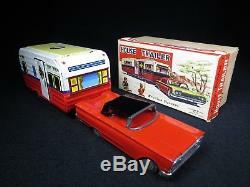 Check me out on Facebook: Mark Bergin Toys or Google Mark Bergin Toys for other Rare Vintage &. 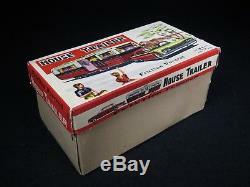 This item has the ORIGINAL Box! 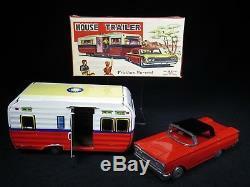 If you do not want to be on this list, just let me know! 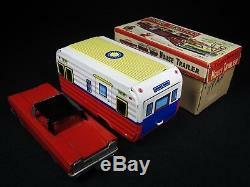 PLEASE CHECK US OUT ON FACEBOOK at MARK BERGIN TOYS! 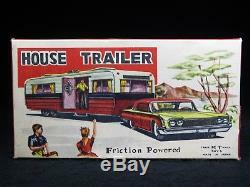 The item "VINTAGE 1950's MIB HOUSE & TRAILER CAMPER TIN LITHO. 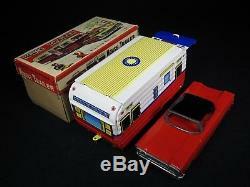 JAPAN" is in sale since Friday, April 13, 2018. 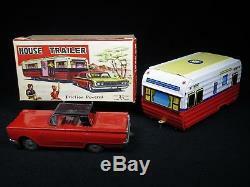 This item is in the category "Toys & Hobbies\Electronic, Battery & Wind-Up\Friction\Pre-1970".